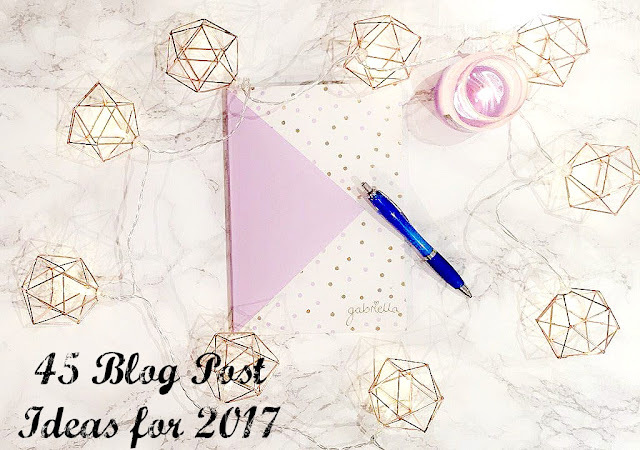 So it's now 2017 and if you took part in blogmas like me you might have come to a writers block and found yourself staring aimlessly into space trying to rack your brains to think of some exciting posts to write up. First off - I wouldn't worry about it, it honestly happens to most of us and you will find that creative spark again, it just takes time and patience. To get you started though, I've come up with 45 blog post ideas; beauty, fashion & lifestyle related in order to give you a head start. 1. Get to know me "Tag"
Thanks for reading this post, I hope this is useful to some of you! I know exactly how it feels to have writers block : ) I'd love it if you followed me on Bloglovin' by clicking the button below. Let me know some post suggestions you may have in the comments below too.